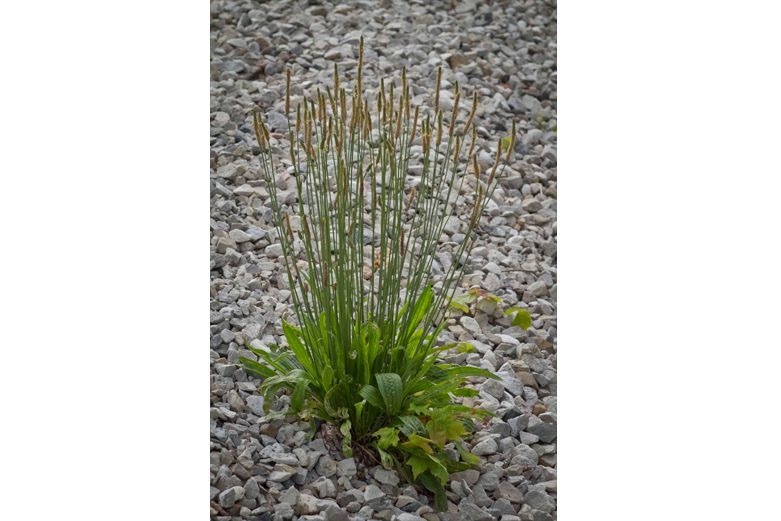 Numerous species of plantain (Plantago spp.) are used medicinally around the world with English plantains (Plantago lanceolata), and Greater Plantain (Plantago major) usually refer to as plantain and used interchangeably. They should not be confused with the plantain banana fruit (Musa paradisiaca). The entire plant contains mucilage and various phytochemicals with anti-inflammatory and antimicrobial activity. Plantain is often used to relieve coughs and help expectorate phlegm associated with infection and bronchitis. Internally it is a useful remedy for gastric ulcers because it reduces stomach acid, protects inflamed mucosa, arrests bleeding and speeds healing. Externally its used to promote wound treating for cuts, burns, and ulcers.